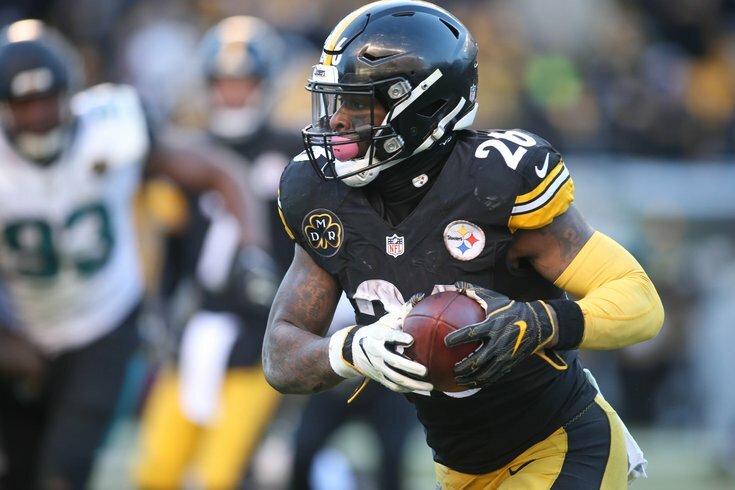 Mailbag: Should the Eagles trade for Steelers RB Le'Veon Bell? Question from Papale86: There was a report that the Eagles could be a sleeper team to trade for Le’Veon Bell. Thoughts? Well, to begin, Bell's cap charge in 2018, per OverTheCap.com, is $11,977,412. That figure will come down $855,529 every week he doesn't report to his team. The NFLPA's daily salary cap report has the Eagles at $11,272,581 in cap space. It also wasn't a report. It was Jason LaCanfora chatting on a podcast with the great Will Brinson about potential landing spots for Bell, which Brinson then recapped in an article. "To me the Packers make a ton of sense. The Bucs make a lot of sense. The Dolphins -- they've kind of gone anti-splashy moves lately, but that would the Tannenabum/Steve Ross model," La Canfora said. "I've got a sleeper team for you: the defending world champion, fly Eagle fly Philadelphia Eagles. "[This would be] the ultimate Howie Roseman move. Trade Nick Foles, get something back for him and then blammo, create cap space and money. Go to your owner and say 'I'm going to turn Nick Foles into Le'Veon Bell, all you gotta do is pay him.' Jay Ajayi is up at the end of the year anyway. They have no commitment to him. Sproles is banged up again. Do they really want to be going into games with Corey Clement and whatever else? That's my sleeper team. "With Carson, there's going to be a lot of three-step drops. Who better to go out there and save the day? They're obviously trying to win right now. They've already made a financial commitment so that's not an owner who is going to let $8 million scuttle the chance to get an All-Pro, every down running back. "What's imperative right now more than anything else in Philadelphia? Pass protection. Who's a better pass protecting running back than Le'Veon Bell? Think about it." So, the idea here is that the Eagles first have to trade Nick Foles? Alright. There are a very small handful of teams that might consider kicking the tires on Foles if their quarterback were to go down, but that team doesn't currently exist. It won't be the 49ers, who just lost Jimmy Garoppolo to a torn ACL. To begin, it's way too late for a team like that to bring Foles in and hope he can master the offense quickly enough to stop the bleeding. But beyond that, there's the fact that Foles wouldn't be some sort of long-term answer for that team, as they're tied to Garoppolo for the foreseeable future. They'd only be getting Foles for one season, with nothing more than the potential for a compensatory pick in return when he leaves. Oh, and they're only getting a comp pick if they lose more players than they sign in free agency, which is extremely unlikely for a team like the Niners, who have a boatload of cap space and are almost certainly going to be active in the free agency market next offseason. As for Bell, to begin, forget about the Eagles for a second. As Joel Corry of CBS points out, it's going to be very difficult for the Steelers to trade Bell, at all. In regard to the Eagles as a potential suitor, LaCanfora suggested that, "All you gotta do is pay him." Pay him what? I mean, the guy would rather sit out than make over $14 million for one season. He's going to want the same kind of contract that Todd Gurley just signed with the Rams. That was a four-year deal worth $57.5 million, and $45 million guaranteed. Remember when Chip Kelly overpaid DeMarco Murray, who had just over 1,100 touches in four seasons? Well, he stunk with the Eagles, got traded for peanuts, and was out of the league three years later. Howie Roseman is not going to make that mistake. Bell has over 1,500 touches in five seasons. The Eagles are not paying massive guaranteed money to that kind of guy. So, would they do a one-year rental? By the time the trade deadline rolls around (after Week 8), Bell's cap cost for the 2018 season would be about $7.7 million. Maybe then. Of course, they'd have to worry about bringing a guy into the locker room who is seemingly already hated by his current teammates in Pittsburgh. Not to mention, when the Eagles have all their running backs healthy, which they presumably will by Week 8, they already have a pretty good group. In other words, when we get closer to the trade deadline, if the Birds are without, say, Ajayi for whatever reason, then sure, ask me then. Question from eaglesfan29: Is it impossible for a DT like Fletcher Cox to win Defensive Player of the Year because it’s hard for players at that position to pick up glory stats like sacks? In the last 30 years, an interior defensive lineman has won it eight times. They were Aaron Donald, J.J. Watt (three times), Warren Sapp, Dana Stubblefield, Cortez Kennedy, and Keith Millard. It can most certainly be done. Fletch is going to need to keep up something close to his sack-per-game pace, and he’s going to have to force more fumbles. It also wouldn’t hurt if he made some sort of high-profile game-altering play to get national attention somewhere along the way. Question from Ken B: Any sense as to whether Darren Sproles and Jay Ajayi play Sunday? Doubt it on both of them. Question from DallasEagle: King James, big fan of your reign and appreciate the time you take to chat. What’s the deal with Shelton Gibson? We hear the coaches don’t “trust” him yet. What does that mean? And why? He’s the only legit speedster they currently have. If he can’t play, why is he on the 53? Thank you, my liege. Wow. Today I learned what “liege” means. Anyway, thanks! I asked Doug what the deal was with Gibson on Monday. He said that there were plays on the call sheet for him, but they never got around to them because they liked the personnel packages they were using. I don’t buy that at all. I think Doug was just giving an answer that was non-critical of Gibson, which is fine, and understandable. Not trusting a receiver can mean a lot of things. Maybe they still don’t trust his hands. Maybe his routes. Maybe his general timing with the offense. Maybe they didn’t think he has had enough reps with Wentz. I really don’t know. But clearly, if he can’t get on the field over freaking Kamar Aiken, who had 45 snaps and no targets on Sunday, there are some trust issues. Question from DD: What in the world did Gibson do to not return kicks? While I like Corey Clement (and to a lesser extent, Wendell Smallwood), I just don’t see much explosiveness out of them to be returners. It just seems like the team is more content with making sure you can catch a punt/kickoff and not lose it after getting tackled. I can understand their apprehension putting him back there. Question from Jarred: Do beat writers go out on Saturday nights or do you rest up for the game? I guess you’re talking about road games? I’ve gone out on Saturday nights before games in the past, but that was rare. I don’t do that anymore (Never forget Cincinnati, Jimmy). Some of the other beats will go out Saturday nights. God bless them. On Saturdays, sometimes if I get in early, I can walk around the city if I’m interested. Seattle, for example, was a fun city to check out. I’m looking forward to Nashville this Sunday, and New Orleans is always fun. Week 2 was a 1:00 p.m. road game, so I went out after I got my work done and caught the Sunday Night Football game at a bar. I ended up hanging out with some Eagles fans who were out and about. Good times. I’ll probably do that again this Sunday in Nashville. Email from Jordan H*cks: You said in your mailbag that if I could get a video of the "Doug Patterson" commentating then send it to you. If this video is attached correctly then here it is! For the record, I ended up winning like 42-17, so although it seems like a tight game in the video, I got a pick-six with Mills that really took away any momentum Washington had. The "Patterson" moment happens at about 18 seconds into the video, I think it only happens if you don't get a 4th-down conversion. Comment from Artie: We never had a mailbag last week, lol. You are correct, Sir Artie. I have failed you. It was either write one more extra article on Saturday, or spend time with my daughter. She won. Sorry about that. BUT, just for you, we’ll have two mailbags this week. For my penance, we’ll publish one tomorrow, too.